Weishi Razor Review: Is It Worth it and Should You Buy it? Looking over the vast array of safety razors available, we’d say the Weishi razor product line is a pretty solid option whether you are beginner or a veteran with shaving. The Weishi DE safety razor looks just different enough from the other safety razors on the market that you might just appreciate its novelty; but how does it actually shave? The answers may surprise you. We have seen this issue pop up time and time again while we are on various shaving forums as well as while we are talking to our buds that practice old school shaving. Seeing that this is an area that many struggle with, we figured that we’d take a minute away from discussing Weishi safety razors. We want to take just a small amount of time to walk through changing safety razor blades for any of our readers that may be stumped. First things first when preparing to change out the blade – you need to know exactly the kind of razor you have and what type of blades you intend to you. Take a look at your safety razor and see if you have a single piece, twist to open, two piece or three piece razor. Then take a look at your blades – are they the ones that come out unwrapped, individually wrapped or in a box? First, we will tackle the twist-to-open razor. Grab your razor and unwrapped blades out of a magazine to simplify the replacement. You can now open up the razor and carefully take out the old blade and slide the new one into its slot. Twist your razor closed and viola! Next, we want to look at the blades that are individually wrapped. These little guys will come in either single wrap or double wrap paper that might have a tiny bit of glue on it to keep the paper closed tight. Be super careful when you are unwrapping these blades and try to make sure that you only grab the blades by the ends rather than the blade edge…it’s pretty obvious why. Sometimes glue residue can be a bit of a pain when you are trying to replace the blades of two or three piece razors. The old blades really should fall right out, but can get stuck to the cap of the razor because of the residue. If this happens you to, now worries. You can remove it by unscrewing the razor and grabbing the cap by the ends of the blade while pushing down ever so slightly. You may want to try this on top of a towel though so that the blade doesn’t slide around a ton and you run less of a risk of cutting yourself this way too. For the most part, all it takes to replace the blade is a the proper placement of the new blade over the mounting posts of the top cap. Two and three piece razors have an extra mounting plate that goes between the actual blade and the handle of the razor – it’s important to remember that the mounting plate is is just the right spot! If you somehow put it back on upside, you will not get a very good shave. If you find you need a little bit of extra pressure, you can keep your finger on the top of the razor while you are screwing it down. You should be good to go and have a pretty good idea of how to change your safety razor blade. It’s really pretty simple, so try no to over complicate it and make sure that you watch out for your fingers. Let’s start with the pros. First of all, you can usually find it sold for about $18 as most craft or shaving stores; it’s a great starter razor if you want to ease into wet shaving but don’t want to worry about wasting your money on something you might not end up wanting. (Spoiler alert: You won’t want to go back after trying wet shaving, but we digress.) That’s a great deal for newbies, but experienced safety razors users won’t be disappointed with this razor either; it can seriously perform. One of the things that strikes you first about the razor is the different design; there’s a sleekness to the various design elements that makes it stand out from normal safety razors. Instead of the stippled texture to the metal handle you might find on a vice grip or something, here you get a futuristic-looking grid texture that sticks up out of the surface of the handle. It’s great for gripping, and the rounded edges of the larger grid pieces don’t cut into your hand as much as the stippling does; this makes it a lot more comfortable for users who might have a tighter grip on their razors than others. It’s got the typical chrome-finished brass makeup as most other safety razors, so it still has the same heft that gives you control over your shaving experience. Changing out blades is a snap, too, which is nice for those who are squeamish about handling razor blades and don’t want to cut themselves. The Weishi razor has a twist-to-open butterfly style head that opens from the middle; all you’ve got to do is dump out the old razor, gingerly set the new one in, and twist the handle again to close it. If we had to find some criticisms for it, it would be that the weight of the Weishi razor is mostly in the head; usually, the best razors will give you some balanced weight, but this one is fairly top heavy. This can be good and bad – newbies might like it since it’s harder to cut yourself, but it also means that it’s more difficult to let the blade do its job on its own. It’s not such a pronounced fault that it should dissuade you from trying the razor out – it just happens to be the one minor flaw we could find with the product itself. Want a second opinion? 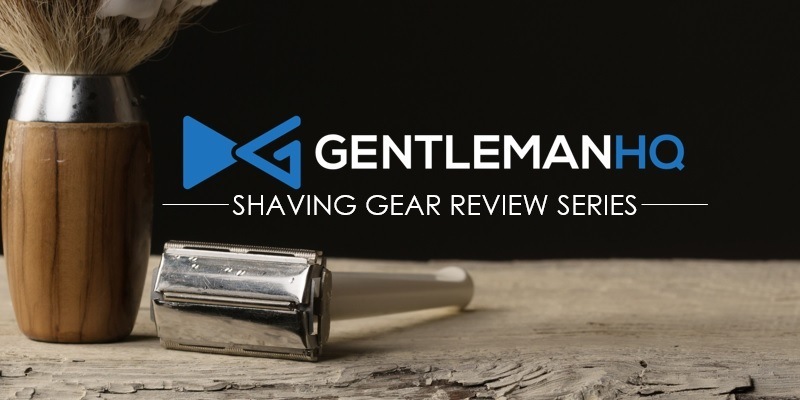 Check out this fantastic review from our friends over at Classic Razor. Who Would Want a Weishi? Weishi razors, as we mentioned before, would be perfect for new users; it’s really cheap at around $18 (and here’s another vendor), it’s got a cooler design so it won’t scare off people afraid to have something ‘old’ looking, and the butterfly-style head makes it really simple to change out razor blades. The barrier to entry for this razor in particular is very low, so virtually anyone can pick it up and intuitively understand how it works. Looking at the Weishi razor, we can readily see that it’s not necessarily for everyone. It’s got a wonderful low price, and a fascinatingly flashy design, but might not shave quite as well as more expensive razors. Still, it can absolutely get the job done, and it’s a very pretty and affordable razor to use; even when you apply that pressure to get a closer shave, you don’t get the same irritation that you might with other razors. One final bit of advice regarding the Weishi razor; like many other Chinese products, you HAVE to treat it gently. Don’t take it to your skin like it’s a hammer you can just bash your stubble off with; you’re going to get the best results if you take your time and go with a light touch when shaving with it. It responds well to gentle strokes; it’s not built like a tank, so don’t treat it like one. Save that for the stainless steel razors. However, if you’re willing to do that, and understand the compromises that come with the lower price, you’ll probably love the Weishi.